A short sale of residential property involves certain real estate rules which uniquely apply to this type of distress sale. A short sale involves selling a house for less than the mortgage debt. Struggling homeowners often list their property for sale and negotiate to have their lender release them from their mortgage obligation to avoid foreclosure. When trying to find the right buyer for a home, the seller must follow his lender's rules to successfully complete the transaction. As a basic rule, a homeowner must have missed at least one payment or default must be reasonably forseeable to qualify for a short sale. The minimum number of missed payments required depends on the short sale program the lender uses. For example, more than 100 lenders participate in the government-sponsored Home Affordable Foreclosure Alternatives Program, which streamlines short sale rules nationwide. A lender may also offer its own short sale program with a unique set of qualifying rules. 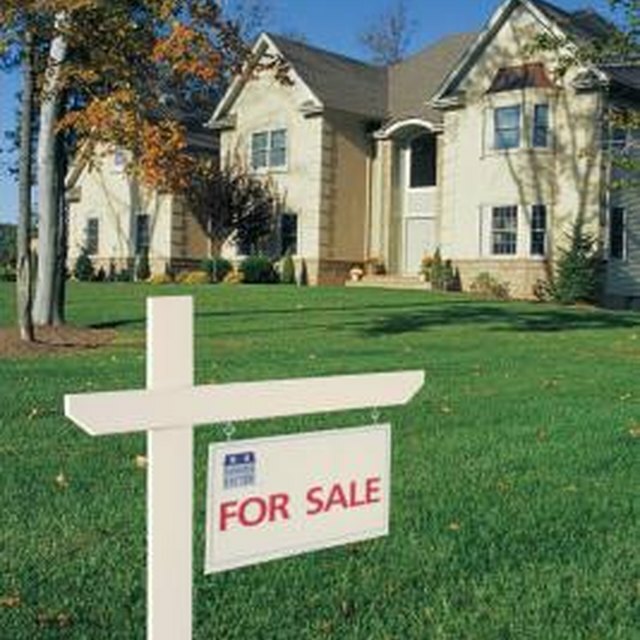 Real estate rules prohibit predatory short sale negotiation fees. Certain states, such as California and Washington, limit short sale negotiation activities to individuals licensed by the department or agency that regulates real estate agents. In general, neither agents nor negotiators can charge an up-front fee for their services on a short sale. A real estate agent receives compensation through commissions paid by the lender at closing and third-party negotiators can only collect once the short sale closes. Real estate rules help to prevent collusion, a type of short sale fraud. Parties such as real estate agents, buyers and sellers may collude to defraud the lender into approving a certain price or terms. Collaborators in a short sale scam may withhold competitive offers from the lender so that it accepts a low offer which doesn't accurately reflect the home's value. When the deal closes, the new owner sells the home shortly after at a higher price, realizing what could have been the lender's gains from the sale. Lenders prohibit parties from making deals outside of the sales contract and withholding relevant bids and information. They also require the parties to sign an arm's length affidavit stating that everyone is working in his own best interests. In general, lenders require struggling homeowners to exhaust all foreclosure prevention options before allowing a short sale. Short sale is typically a last resort for disposing of a home once refinance, loan modification, forbearance or deferment options have been explored. A borrower may short sale if he doesn't qualify to lower his payment or fails to successfully make reduced payments. The lender typically pre-screens for eligibility before or upon the borrower's request for a short sale. Lenders and real estate governing bodies regulate how short sale listings are marketed on local multiple listing services. A lender typically requires the home to be listed on the open market through the MLS for at least three or four months. Real estate rules also require that listing information identify the home as a short sale property and subject to lender approval and terms. Realtor.org: HAFA FAQa: Who Is Eligible?